On Thursday night, our facility engineer showed me an as-built AutoCAD sketch for his toilet room renovation project in our Ohio manufacturing facility. He asked if I could enhance the sketch with Revit for his Tuesday meeting with the contractor and facility engineers. 3D plan and 3D interior views. I linked his AutoCAD sketch of field measurements into the Revit file for tracing and as a reference for his ADA-toilet partition proposal. Using the View Visibility (VV) settings, I set the Imported Category (Linked CAD file) to Half-Tone to make it less pronounced in the views. Our interior designer provided a spreadsheet of components with their respective materials and model numbers for each room. While she didn't specify the location of components; interior elevations and sections displayed product locations and heights for her review. 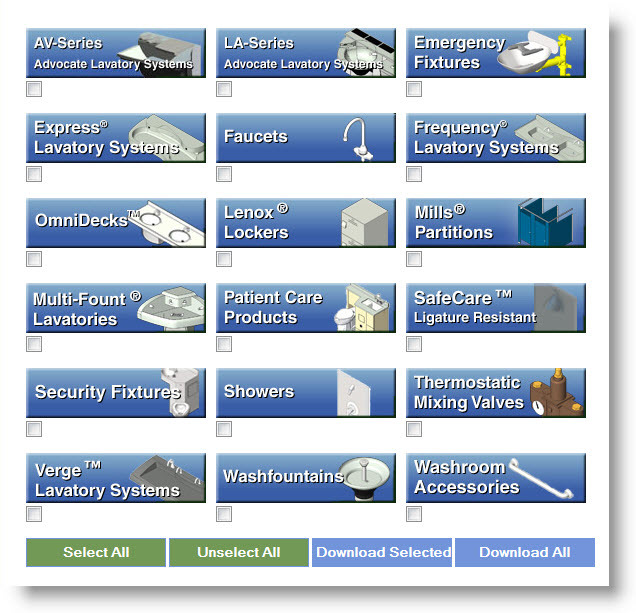 Using Bradley's pre-built Revit Family Library, the interior views and schedules immediately updated as the Revit components (lavatories, toilet partitions, accessories) were added to floor plans. We added a Revit COST parameter to another plumbing fixture\accessory schedule (not printed). We exported the schedules to a spreadsheet to assist with the contractor's quoting process. 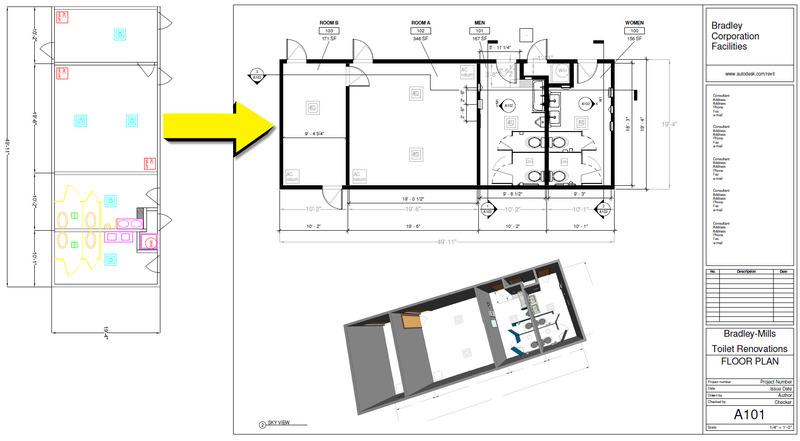 Revit Room Objects accurately reported each room's square footage for the floor finish renovation of each room. Additional face-to-face dimensions were added to field verify clearances between existing walls. Cross sections were created to field-verify clearances between the ceiling and structure. It took 2 minutes to create a 'blank", correctly oriented reflected ceiling-tile plan from facility engineer's photos. He wanted to enhance the discussion of ceiling fixture placement (lights, vents, diffuser) with the lighting and HVAC engineering contractors. The project was printed to scale on C-size PDFs; that are easily viewed or printed. Revit annotations (hatch, text, dimensions) automatically re-size and updated as we "played with each view's scale" to fit them on C-Size title block. This plant facility is still managed in AutoCAD. However, we can export the Revit views to AutoCAD for inclusion into the facility's existing AutoCAD master file. In November 2016, The Bradley International Group opened a new Dubai Office and Showroom. This expanded Bradley Corporation's 30-year commitment of supplying building products for Middle East design, engineering and construction projects. Since 2009, The Bradley BIM Initiative has supported architects, engineers and contractors; that are using Revit-BIM processes in the Middle East markets. 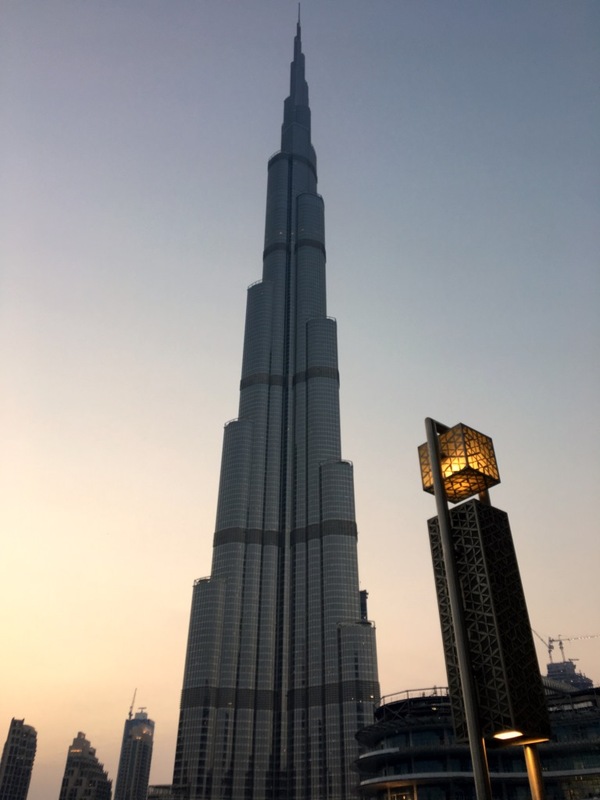 My visit to the new Bradley Dubai Office and Showroom; provided some late afternoon \ early evening trips to a few local architectural destinations. I thoroughly enjoyed teaching and meeting over 350 design-construction professionals during my two-week AIA-CES Bradley BIM Tour. The opportunity to experience this region's amazing architecture, culture and people was truly a memorable adventure. My personal thanks to Mohamed Barakat, Bradley's International Sales Manager for our Middle East clients. His personal efforts to take us to these destinations at the end of our work day; contributed to my ability to successfully shoot the images in this photo gallery. 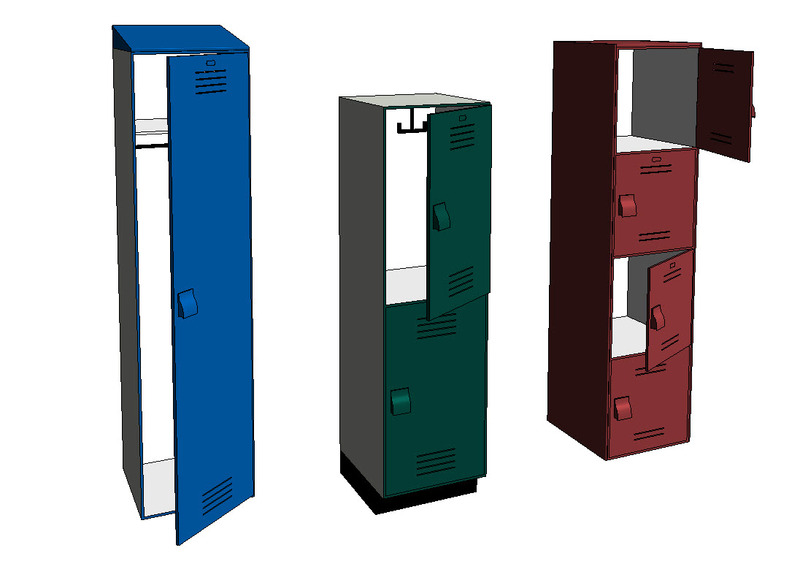 Bradley Lenox Tiered-Locker Revit Family models are available for download as 1 (single), 2, 3, 4, 5 and/or 6-tiered Revit families. Summer 2014 launched the Bradley BIM 2.0 - Revit Library Update. Major portions of the Bradley Revit Library (1,000 Revit Families) were optimized and revised. 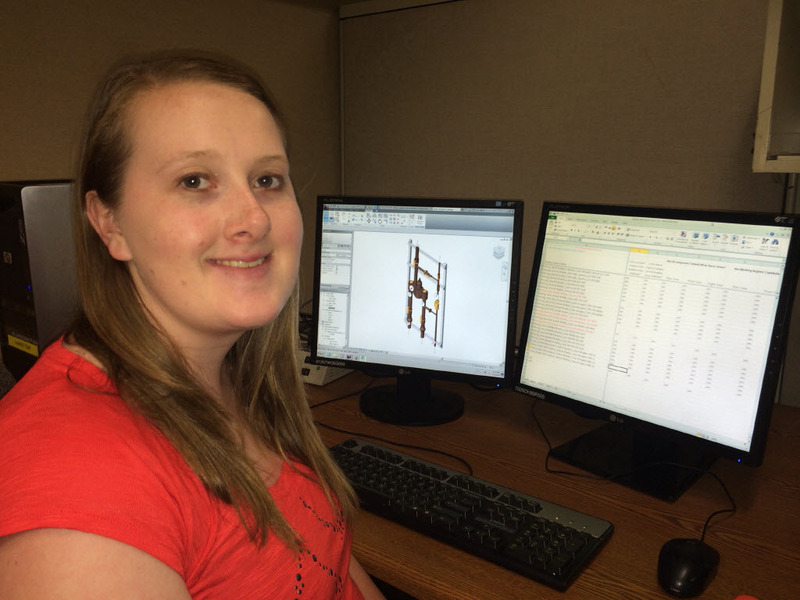 Rachel Hughes, Revit\BIM Support Technician (paid summer internship) has been piloting our Bradley BIM 2.0 Revit Library Updates. She cataloged each family's edits in our Standards Spreadsheet and authored new editing processes for our Revit Handbook. More than 350 Bradley Revit families had their their visibility settings optimized. Currently, over 750 Bradley Revit models were given new parameters, old parameters were updated or deleted -and all 750 models were Revit project-tested. This summarizes the Bradley BIM 2.0 updates; that we'll begin uploading to the Bradley Revit Library during September 2014. 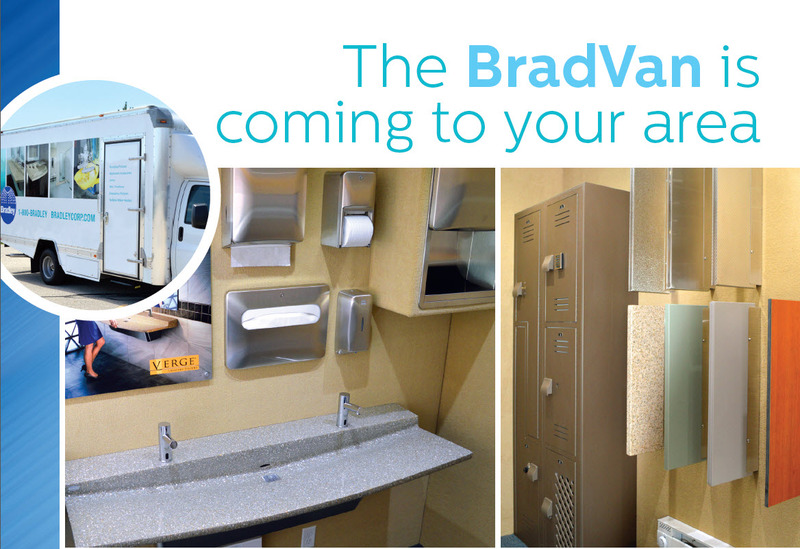 Free Bradley BIM Flash Drives (1,000 Revit Families) are joining the 2015 BradVan BLITZ | National Summer - Late Fall Tour. 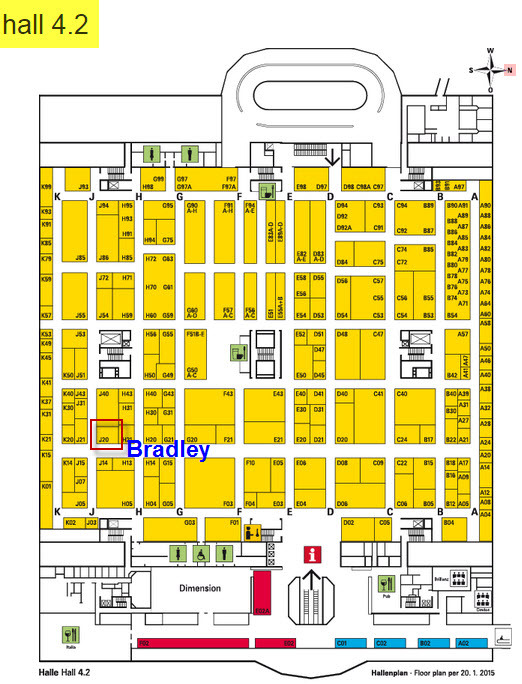 Bradley BIM Model Flash Drives will be available (while supplies last in the booth) at the Bradley Corporation Product Booth at ISH 2015 Conference - Frankfurt Germany, March 10-14 2015. 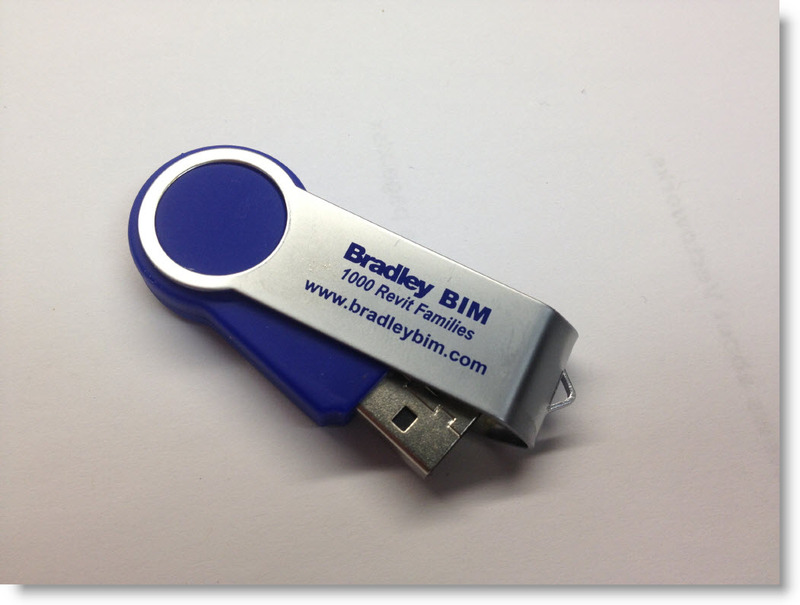 Mention Code : BIM-ISH to our booth staff and obtain your free Bradley BIM Flash Drive (while supplies last) . Mention Code BIM-ISH to our booth staff and obtain your free Flash Drive (while supplies last) . 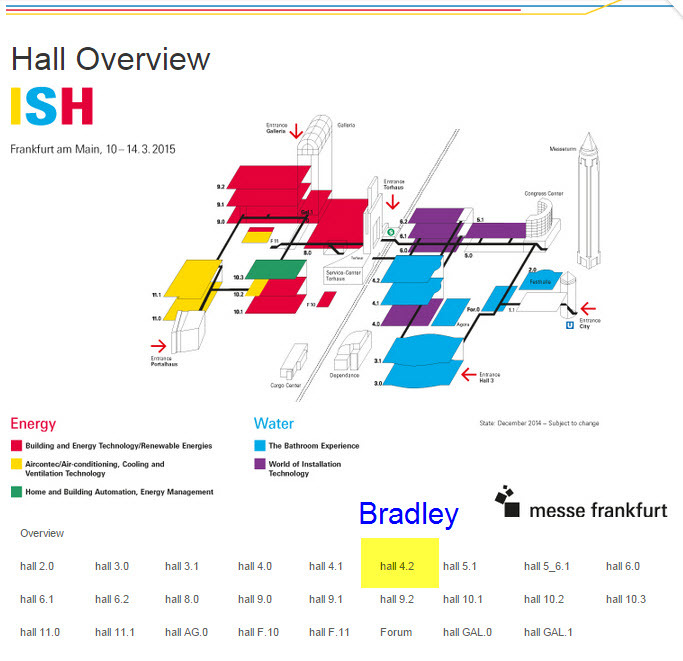 ISH provides the world’s biggest showcase and trade fair for innovative bathroom design, energy efficient heating and air-conditioning technology and renewable energies. Imagine exhibitor booths staffed by 20, 40 or 100 people integrated across a campus of multiple buildings --serving a global crowd of ISH design professionals and guests. Experience the unique range of products and services for yourself at ISH in Frankfurt Germany from March 10 to 14 2015! Visit the Bradley ISH 2015 Booth for your free Bradley BIM Flash Drive. Free Bradley BIM Flash Drives (1,000 Revit Families) are joining the BradVan BLITZ | National Tour. Flash drives include more 1GB of content including the Bradley Revit Library of 1,000 families, Bradley Revit Material Library, Bradley BIM newsletters, links to Revit tutorials, videos and much more. 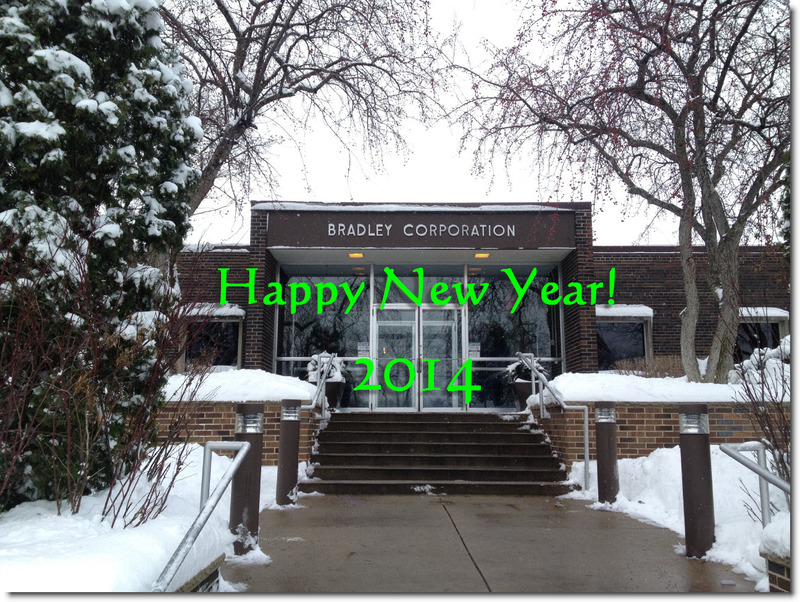 Bradley Corporation and The Bradley BIM Initiative; we wish you a Happy and Prosperous New Year 2014.